Q. I am trying to improve my defensive play in chess. People recommend many different strategies. I have often heard of a move called the French Defense. What is the French Defense chess move? A. The French Defense is a defensive system for Black. It starts out with 1.e4 e6 and 2.d4 d5 often follows. Black can use this system if he does not want to enter an open game. The French Defense provides him with solidity and the chance to develop relatively easily. He will not find himself under much pressure. The flip side is that the defense is somewhat passive and while he can probably achieve equality with good play, there are not much prospects of claiming an advantage in the opening. He will have to outplay White later in the game in order to get on top. Here you can find a more comprehensive discussion on the French Defense. Very Useful Piece of Information! Even though I am not a great chess player, I am in love with this game and aspire to be a great Chess player in the near future. The sharing about the French Defense was just amazing for a beginner like me. It reveals the law of safe play. During adverse conditions awareness of this kind of moves will safeguard players. Very nice to learn about French Defense... Thank you! Amazing how simple or advanced chess can be. Chess never fails to amaze me. The intricacies of a "simple" board game are mind boggling. So many strategies formed, in response to other strategies. I have never heard of the French defense but this is a GREAT explanation of it, and I look forward to seeing what an unsuspecting opponent will do to counter it. I knew there was moves in chess but up till last week, I'd never had much instinct to look them up. But after getting beat by my girl at Oberweis on one of those plastic table top games (we had to use a salt shaker for a rook! ), I came here and picked up some pointers. Thanks for the pointers fellas! I had recently major chess tournament with over 30 players. I am good in chess but i wanted a signature move which i was trying from last two months . I googled it special chess moves and i was directed here. I learned what is called as french defense. Luckily using it i Qualified the semi final rounds. Lets keep our hopes up and hope for best. I have used this move on a number of people and it works so good. I am not a great chess player but i know enough to know that this move works good. I've been playing chess since elementary school and still continue to do so casually. Thanks for making this site so I can look up chess moves and in depth information. Many of the moves listed I've used before but wasn't aware that they were official strategies that had names. Thanks again for the site and the info! Join in and write your own page! It's easy to do. How? 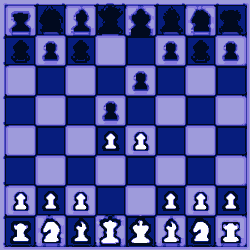 Simply click here to return to Basic Chess Rules Questions.